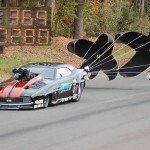 Todd Tutterow ran his fastest ever pass with a 14.5 Roots Blower by Hammer running a 3.81 in the 1/8th mile at North Carolina track Shadyside during a Quick 8 event. 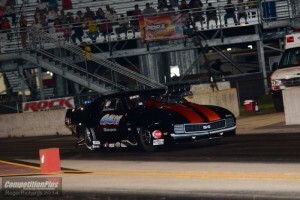 Tutterow runs the Pro Extreme Class in the PDRA series and won the Rockingham event with a Hammer Screw charger earlier in the 2015 season at Rockingham Dragway. 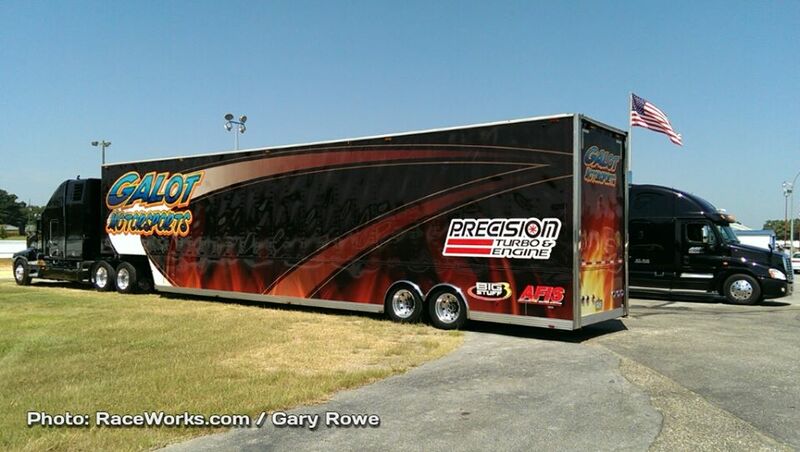 PITTSBORO, N.C. August 9, 2014: GALOT Motorsports has taken over Pro Boost, with teammates Todd Tutterow and Kevin Rivenbark sitting number one and two in points, respectively. 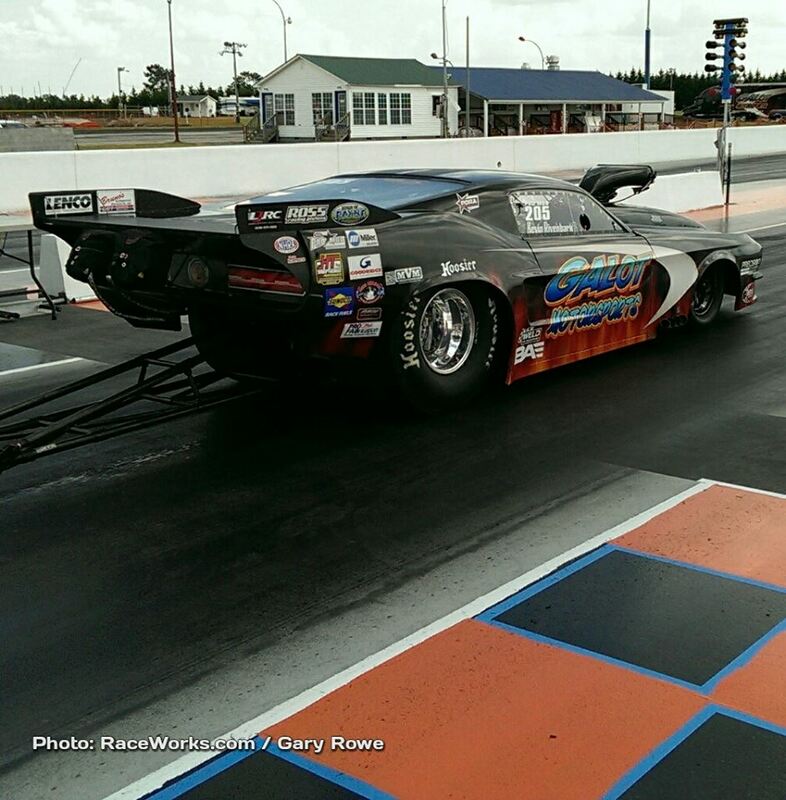 Joe Baker, Larry Higginbotham and Tommy D’Aprile round out the top five, but it’s been a decidedly GALOT year in the first season of Precision Turbo & Engine Pro Boost. 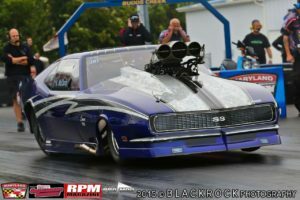 Rivenbark has been in the semi finals or better every race after the season opener and Tutterow has two finals to his name, as well as two number one qualifiers. 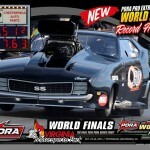 At the latest stop on the Inaugural PDRA tour, the NAS Racing US Drags held at Virginia Motorsports Park July 25-26, Rivenbark finally broke his streak of semi final finishes and scored his first Pro Boost win. Now Rivenbark sits just 165 points behind Tutterow in Pro Boost points. With only three events left on the tour, it will no doubt be an exciting race to the finish to crown the first-ever Pro Boost Champion. “After Martin I went from fourth to second [in points],” elaborated Rivenbark. “I said something about it and Todd said, ‘yeah but you got one bad guy in front of you’. So yeah, we’re good teammates and play well together, but he loves winning just as much as I do. Of course he wants to win. I want to win. On our team there are no lay downs. Go out there and the best car wins, let the chips fall where they’re going to fall. 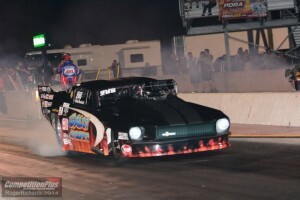 Both Kevin’s and Todd’s horsepower is all done in house, as part of the GALOT Motorsports dynasty, which also includes two Junior Dragsters, three tractor pulling teams and the completely renovated GALOT Motorsports Park in Benson, NC. “All of us work well together,” Rivenbark said of his team. 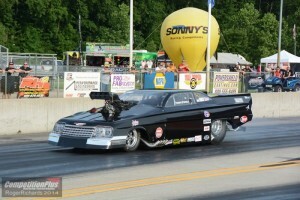 “And it can get tough with just six people for two professional teams, especially if one car has an issue. Brad and Scott and Ty all do a wonderful job. eff Bohr helps tune my car and Todd tunes his, but they work together, helping each other with ideas and trying to make both of them better. “We work well together. I think that’s what it takes,” Rivenbark continued, pointing to the reasons behind the team’s success, part of which can also be attributed to team owner, Earl Wells. “Todd and I work well together. With him being a tuner as well as a driver he can relate to what I’m saying. I think the team gels well, and we’ve been doing this together for a while. Mr. Wells coming on provided the extra resources and support that has just boosted our program. As the PDRA begins to round out its inaugural season, talks of plans for 2015 are already underway, with an event at GALOT Motorsports Park not out of the question. While the track was originally slated to open in 2014, added renovations pushed the grand reopening date to 2015. Tutterow and Rivenbark were able to make the first passes on the freshly resurfaced track on Wednesday. 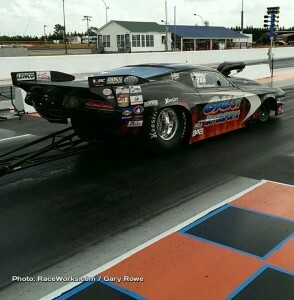 “Cale from the Traction Twins came down a couple of weekends ago and showed us how to use the new equipment they got us. We laid rubber all last week then came back on this past Wednesday and Todd made the first hit. The track has very, very good potential. The surface is smooth and it’s fast. I think all the racers are going to enjoy it. 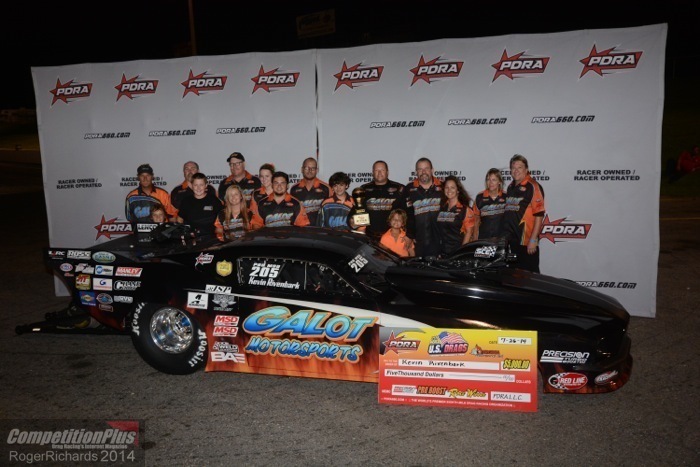 For now, Kevin and Todd will focus on the final three events, looking to ensure that a GALOT Motorsports driver will be the first Pro Boost Champion. 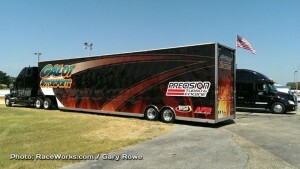 They head to Tulsa Raceway Park August 13-16 to continue the battle in Pro Boost. As always, tickets are free and fans can catch all the action via the Motor Mania Live Feed. Hammer Superchargers customers had another good showing at the PDRA event at Virginia Motorsports Park, Phil Esz won the Ultrasonic Top Dragster Ultimate 4 Shootout. Kevin Rivenbark took the win in his 67 Mustang in the Pro Boost Category. 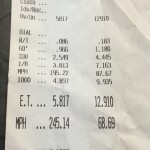 Todd Tutterow was the #1 qualifier in Pro Boost, before losing to Rivenbark in the semi finals. 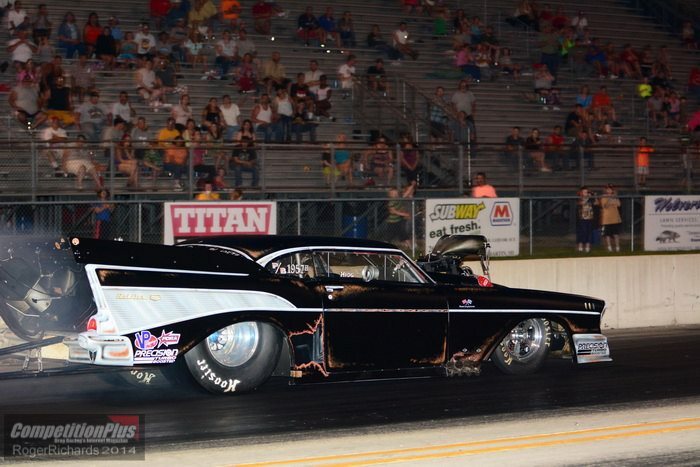 Larry Higginbottham qualified in the #11 Spot, Tommy D’Aprile qualified in the #5 spot, and Chris Cline had his 1st outing this season with the always popular Christine car.